Maedith Radlein often writes up a little something in honour of Black History Month. She wrote a multimedia play intertwining significant moments in Canada’s black history with song, dance and poetry. “The history of black people in Canada is not very known,” the retired teacher and Waterloo resident said. 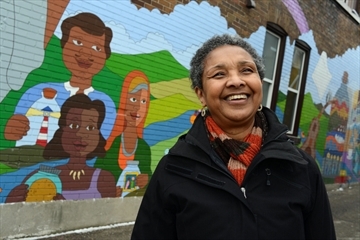 She hopes her play, first featured in Guelph for Black History Month last year, will work to change that. “A History of Black Immigration to Canada” will be featured at the annual Caribbean Canadian Association of Waterloo Region celebration on Saturday afternoon. Click here to visit the full article on The Record.